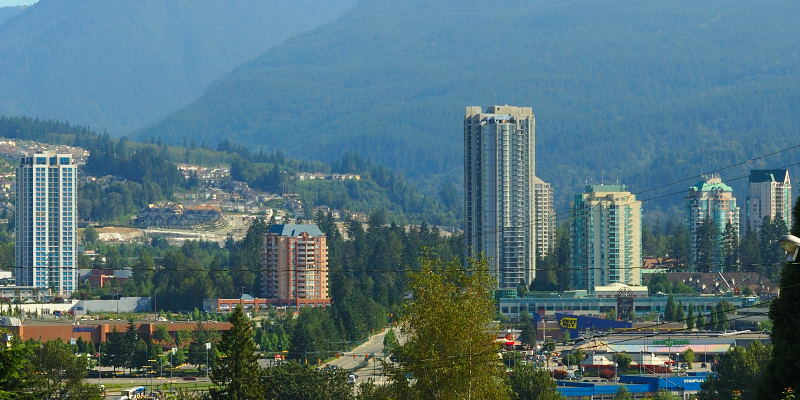 Did you know that Coquitlam as we know it today has strong ties to French Canada? The first people to settle Coquitlam were the Coast Salish before Britain claimed the area as part of British Columbia. But years later the city we know was birthed out of the forestry industry with the help of French Canadian mill workers. Originally the area Coquitlam now sits on was just a connecting road for workers to connect Port Moody to New Westminster. North Road opened up the region and created settlement and resource opportunities for arriving settlers. From about 1860 to 1890 growth was steady and mostly focused on agriculture. Then everything changed when the District of Coquitlam was incorporated in 1891 and Frank Ross and James McLaren opened Fraser Mills on the North side of the Fraser River. At the time it was a $350,000 state-of-the-art lumber mill that quickly developed a formal settlement for local families. Finding themselves in need of new workers, Mill owners turned their attention to experienced workers from the logging industry in Quebec. By 1910 hundreds of francophone mill workers had formed a new settlement called Maillardville. The community began to thrive, and became the largest French Canadian settlement west of Winnipeg. Through World War 1 and the Great Depression growth slowed, but frankaphone culture was key to Coquitlam’s stability through those trying times. After World War 2 with the construction of the Lougheed Highway and large population bursts, the area began to grow rapidly. Over time, the ‘French Connection’ began to fade as the region grew more connected to neighboring municipalities. To this day, the south slope of Coquitlam is populated by street signs and other mementos of history, showcasing a vibrant and beautiful French Canadian culture. Over time, the language has faded in the region, but you can still hear it spoken from time to time in the area on the streets on the South Slope. What is your favourite piece of our local heritage? Tell us about it and we will write about it in a future blog. Be sure to tell us what you think and add your annotations by messaging us via email or social media.